We often see homes packed with designer pieces, and although beautiful, they're not always achievable. 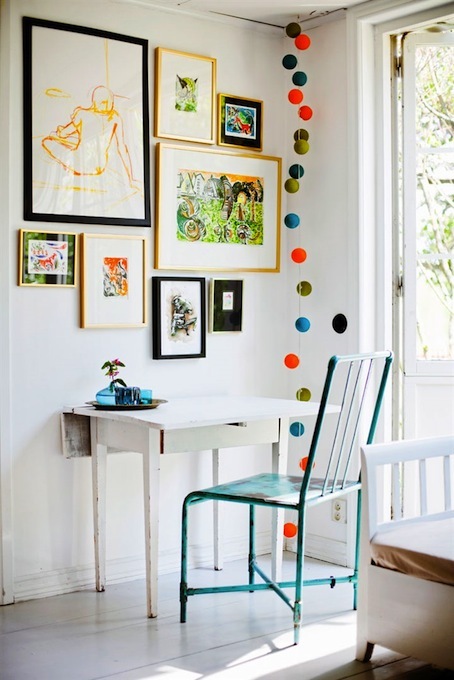 I therefore love homes designed on a shoestring budget using creativity, patience (to find the right items as they come up) and a sense of fun. 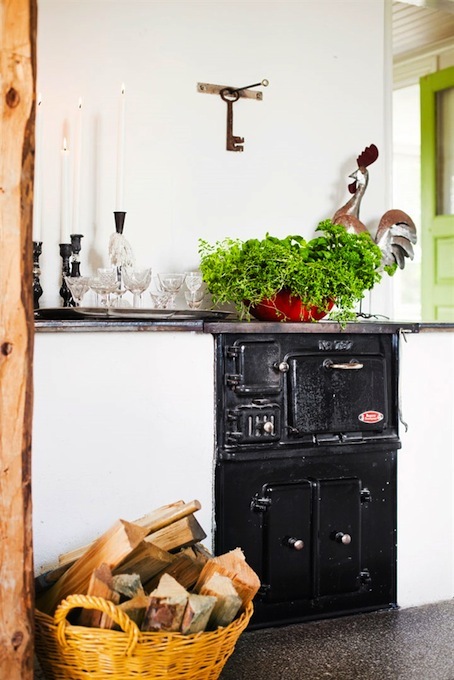 The truly personal family home of ceramicist, designer and stylist Frida Anthin Broberg, Sebastien Broberg and their children Jack (6) and Bill (5) situated in Rönne, Sweden is a perfect example of this. Frida and Sebastien believe 'an interior should be fueled by desire rather than aesthetics' and their space pays homage to this. 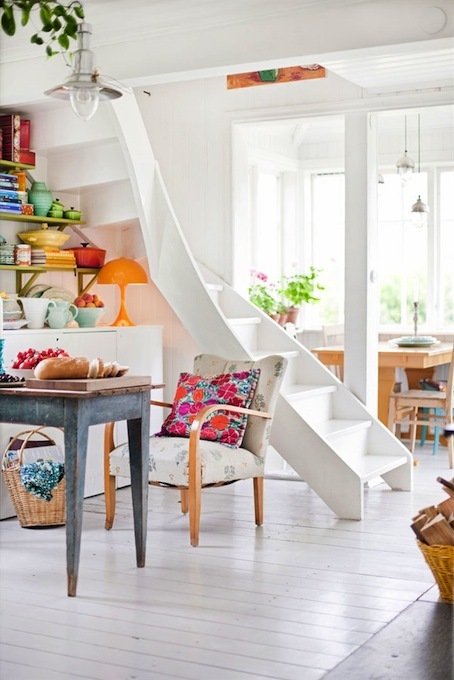 Teeming with vintage finds and bold splashes of colour, this lovely relaxed, boho living space is perfect inspiration for decorating without a big budget, don't you think? 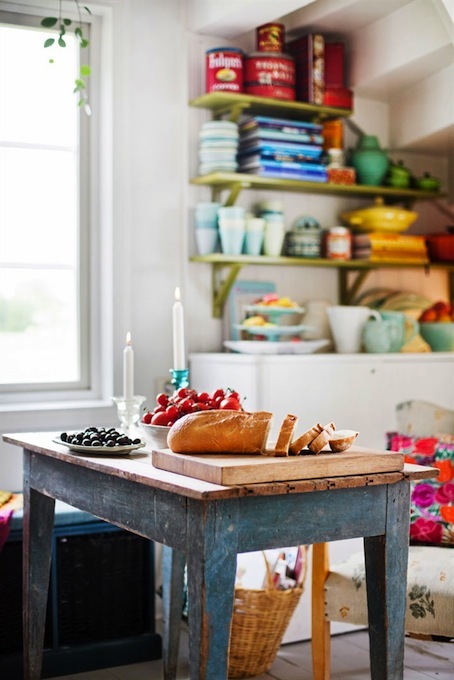 Hus o Hem, Stylist Johanna Flyckt Gashi. Photography: Lina Östling with kind permission. What do you think? Could you live here? 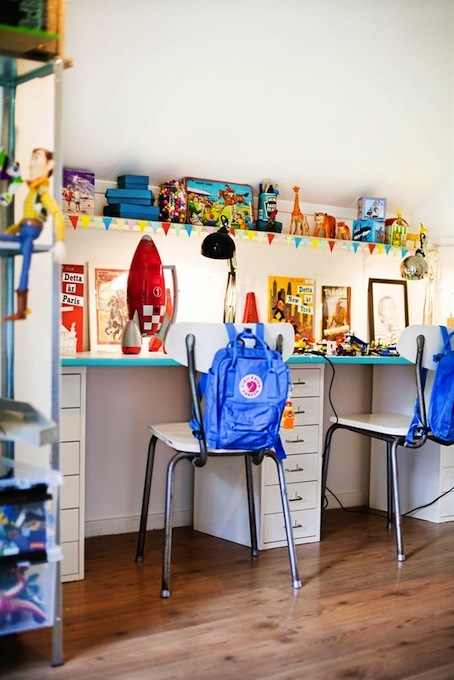 Other fab homes with a similar vibe include Part I and Part II of Johanna Gartmyr's cool home (the castle in the little girl's room is my most pinned image ever! 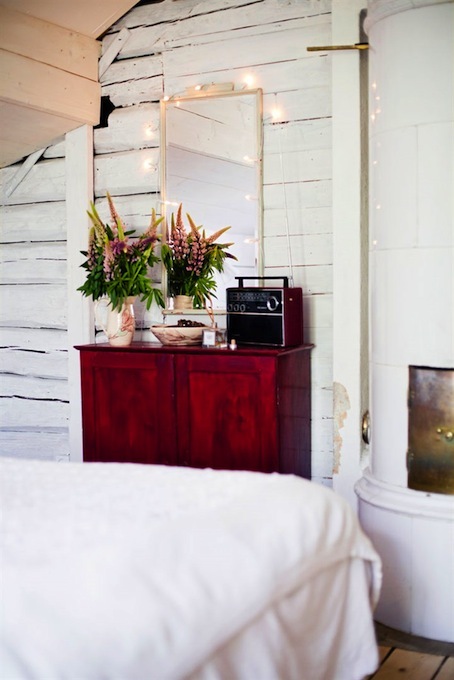 ), an eclectic Norwegian home, and this fab home packed with vintage pieces. And for the boho look check out these homes. PS Etsy is a great source for retro items. My little girls also have the Swedish classic Kånken mini rucksack, shown here on the back of the chairs - so cute! I could totally live here. So colorful, so happy! It's a perfect place, love it! have a nice day! This looks so so lovely and cosy and welcoming. Love it! I love this home - it really feels like somewhere people actually live! By the way, I don't know if I have said congrats on blogging full time. That's a great start to the new year! This place looks amazing!! I love it! 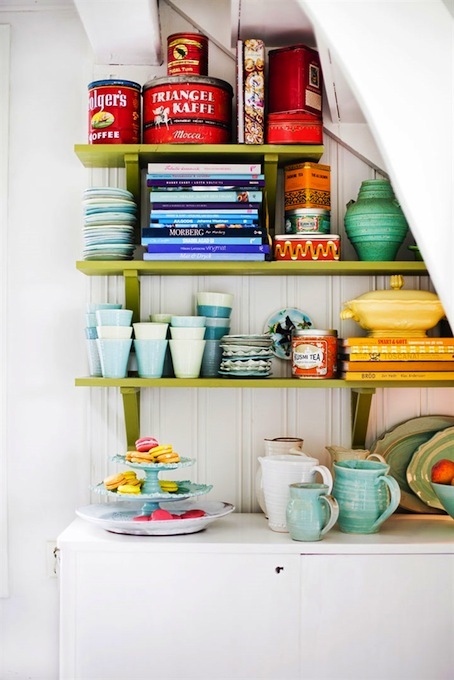 Love all the colorful accessories...it's a really beautiful home! I love all the happy colours in this space! Nice with all the colors, a lovely home!